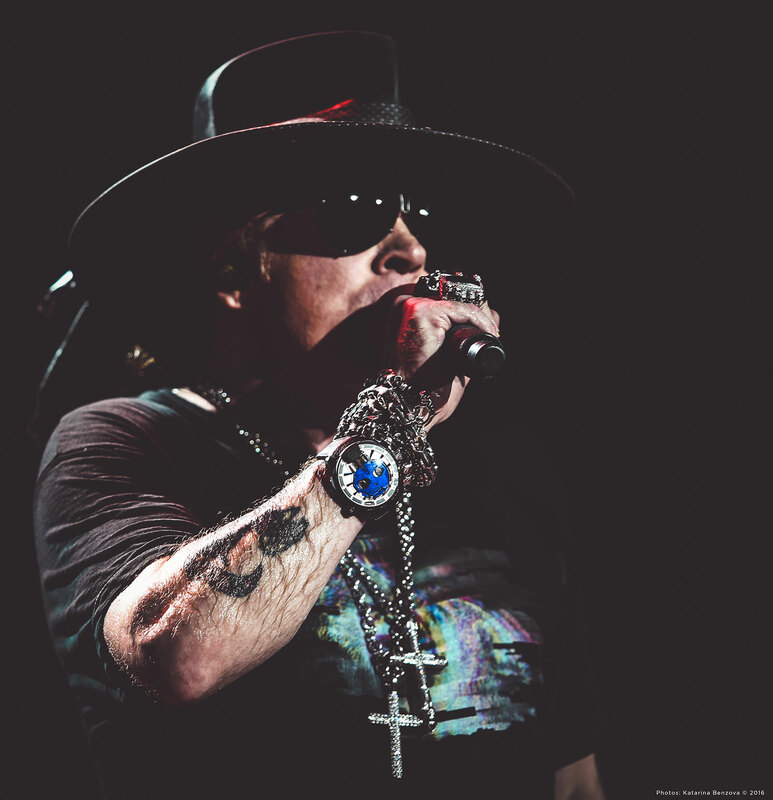 The lead singer of Guns N' Roses and AC/DC pens a skull motif watch with a liquid time display. 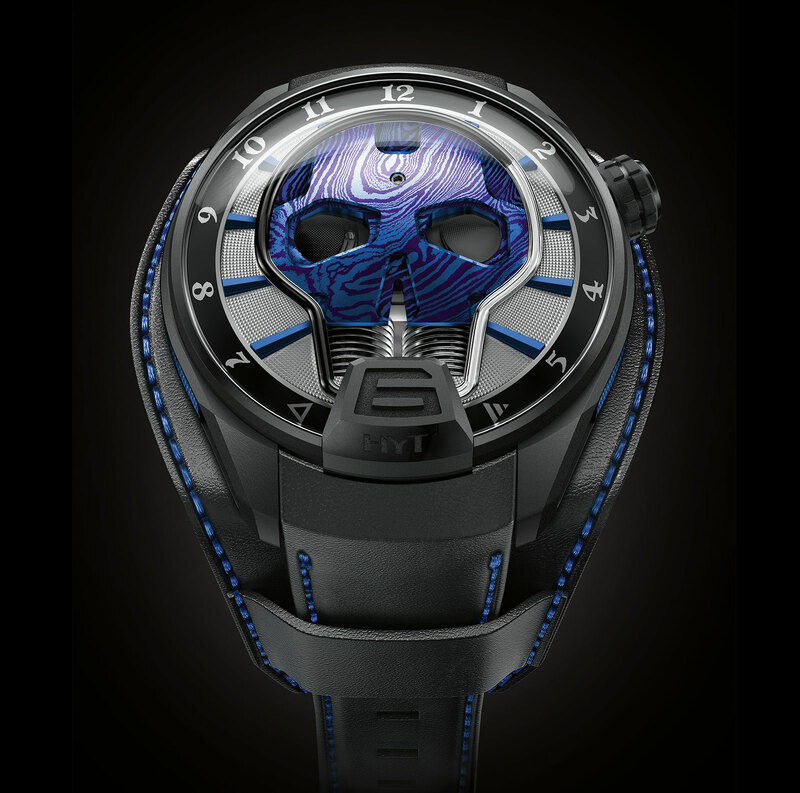 One of the founders of rock band Guns N’ Roses, Axl Rose added his creative touch to the HYT Skull Bad Boy, giving it a blue and black palette. It’s vivid and larger than life, a wristwatch appropriate for a 30-year veteran of rock and roll. The prominent skull on the front is made of modern Damascus steel, a patterned steel alloy produced by heating and hammer different metals together. Usually a pale grey, the Damascus steel has been given a purplish-blue PVD coating, the same colour applied to the hour markers. Another of Rose’s additions are two hobnail patterned inlays on the flanks of the case, both finished in a blue PVD coating like the dial. And the sapphire back is printed with the Guns N’ Roses logo and Rose’s signature. 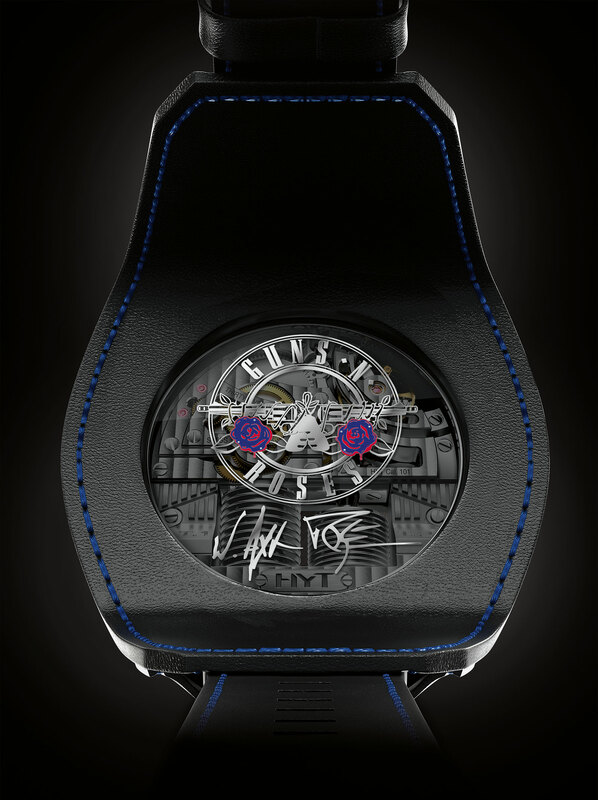 Like the HYT H1 on which the Skull is based, the Axl Rose edition tells the time via a liquid-filled tube that indicates the hours, and also an approximation of the minutes. A pair of bellows visible from the back push two immiscible liquids through the tube, with the meniscus where they meet indicating the time. The case is black coated titanium, 51mm in diameter and fitted to a Bund-style strap, with a leather pad underneath the watch. 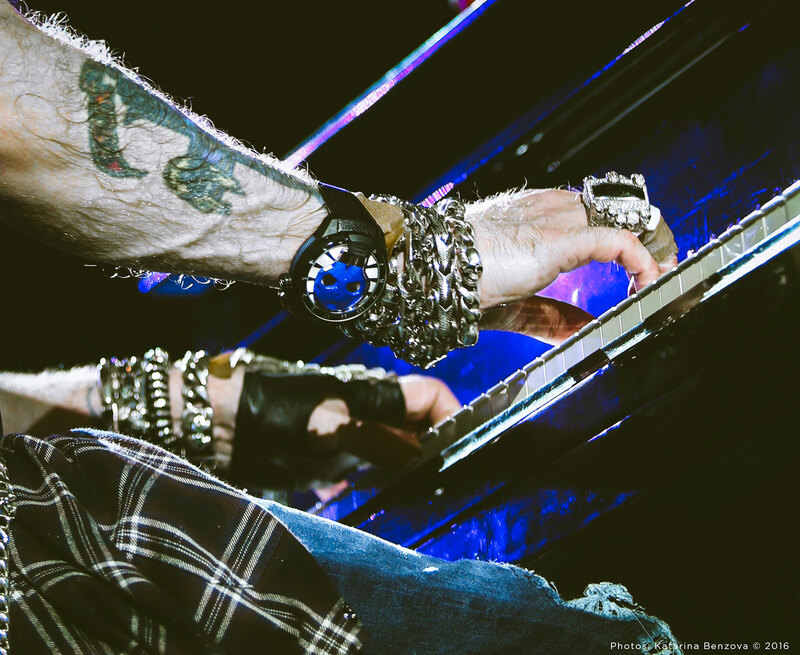 Limited to 25 pieces, the Skull Axl Rose (ref. 151-DL-47-NF-BV) is well suited to a chart topping musician, priced at US$100,000 and available starting December 2016 from HYT retailers. HYT has appropriated a recently fashionable motif in watchmaking and combined it with the underpinnings of its H1 wristwatch to create the Skull, which displays the time on a skull-shaped glass tube.